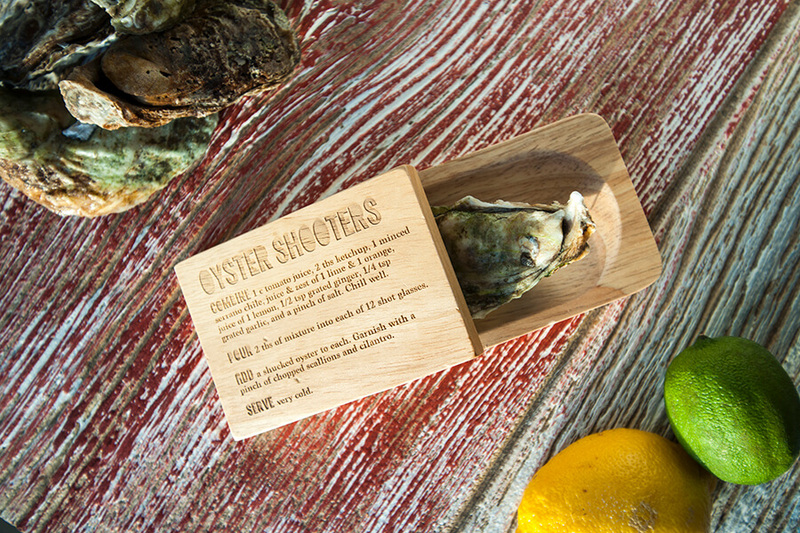 The perfect gift for oyster lovers. 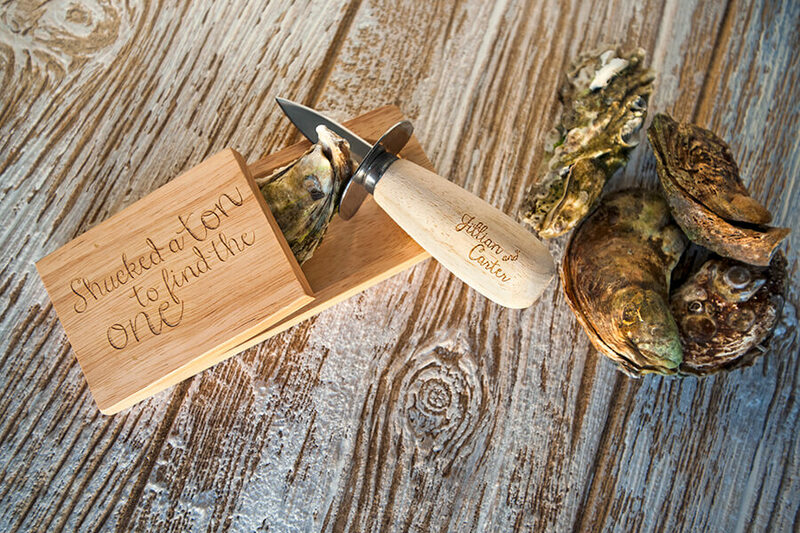 Our customized oyster knife and shucking block set are engraved with your design or logo. 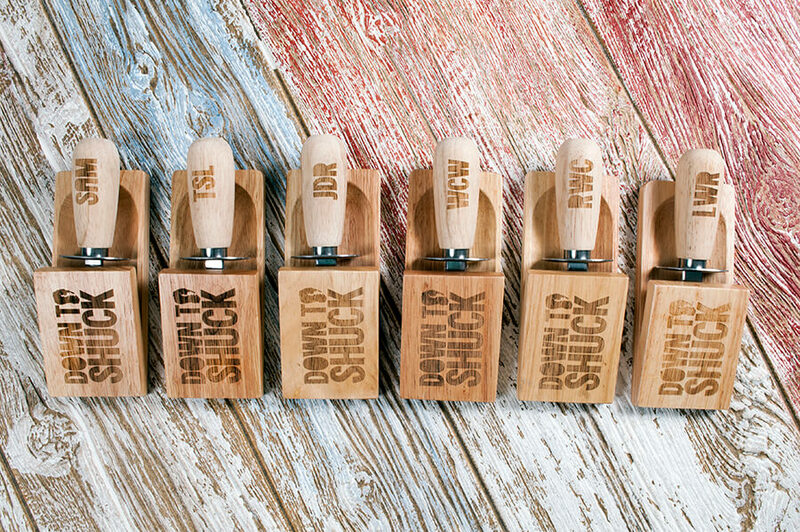 Order one for a great hostess gift or dozens for a southern-themed corporate gift. 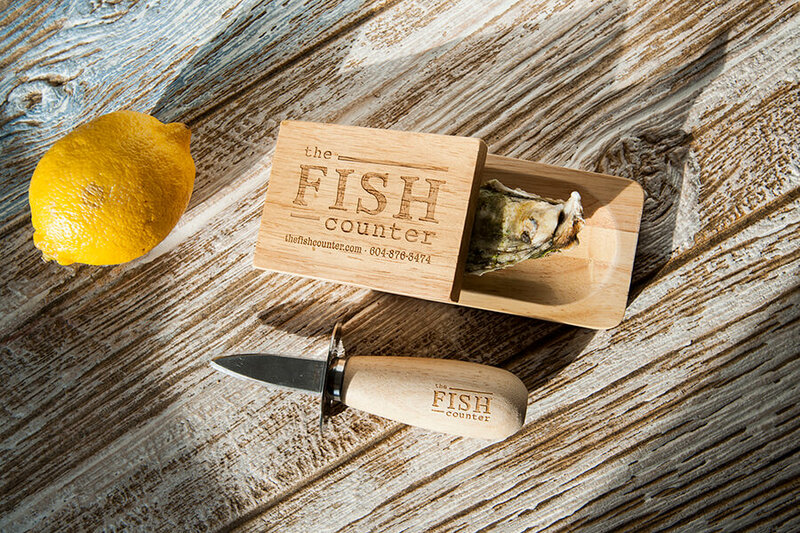 Our frenchman-style knife with its hardwood handle and stainless steel blade can be engraved along with the top of each shucking block. View the gallery below for inspiration. Includes block and 1-side handle engraving. Customize both sides of the handle for even greater personalization. Free design proofs allow you to see exactly what your set will look like before production begins. Production time is 1 week or less after proof approval. Contact us for same- or next-day service. 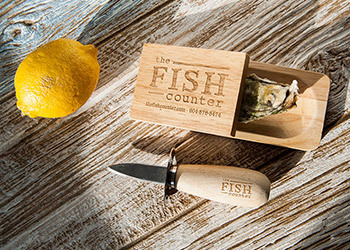 Customize each set with your own design, text, icons, or logo.